Posted on March 17, 2017 at 8:23 am. Posted on February 17, 2017 at 4:29 pm. It is that time of year again. The Super Bowl is over and March Madness is almost upon us and we all know what that means. Tax Day will be here before we blink an eye. You should be receiving your 1099s, 1098s and W-2’s any day now if you haven’t received them yet. Then the regret or excitement will begin to set in as you realize that you will either owe Uncle Sam or you will get a refund because you gave the IRS and interest free loan of your money. 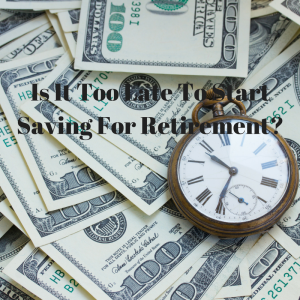 Is It Too Late Too Start Planning for Retirement? Posted on February 10, 2017 at 9:30 am. When 99.9% is not enough! Posted on January 26, 2017 at 10:27 am. I have been thinking long and hard about a lot of things in the investment and financial advice industry over the last few months. What I uncovered is that there are a lot of people doing just enough. The idea of going above and beyond for clients is quickly dying as more and more people are automating all sorts of tasks from grocery shopping (actually pretty useful) to investing (jury is still out on this one). 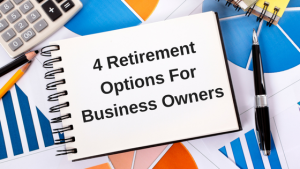 I took a long hard look at everything we are doing here at Thorium Wealth Management from the investment process, client management, to long term succession planning, to every expense paid, and the Return on Investment for the business. It has been eye opening. Posted on January 18, 2017 at 3:42 pm. I recently had a Jerry Maguire moment in my business. For many people their Jerry Maguire moment occurs when they take a leap of faith and go out on their own. Like the famous scene where Tom Cruise walks out of the office with the goldfish after yelling Show Me the Money! My Jerry Maguire moment had more to do with the core of what Jerry was getting at in his written manifesto (Its not a memo). He wanted to have more meaningful relationships with his clients. He felt the business had become too focused on the wrong things and they had lost sight of what they really did as agents. Posted on January 4, 2017 at 1:07 pm. Saying 2016 was an eventful year might be a giant understatement and not just because we had an unprecedented Presidential Election. It was eventful for my blog because we crossed 20,000 views for the year which is exciting to me. This year the blog got a redesign that took away some of the writing time, but I am proud of the pieces I wrote this year and have a very exciting 2017 planned for my readers. Posted on December 16, 2016 at 4:38 pm. I am very excited for the new Star Wars movie Rogue One! I am so excited that I will be one of the fools who see it at midnight on the night it opens. Rogue One, for those of you that live under a rock or are not Star Wars fans (GASP! ), is about the group of rebels that steal the plans for the Death Star that the Empire is building. The Death Star is a moon sized interstellar war base. It was technologically far superior to anything in existence up until that point. I have thought about this more than a few times but could you imagine how much it would cost to build something that big?